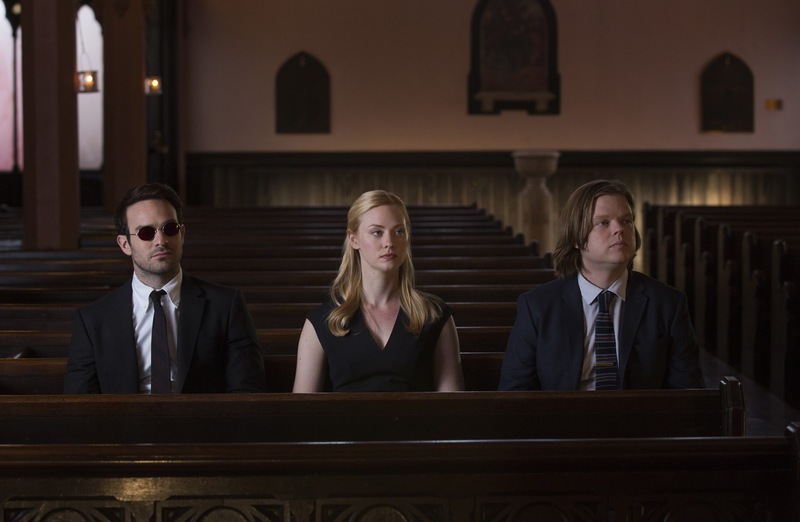 There are tons of new and returning shows coming in 2016 that will certainly take over our attention spans, and it’s easy to admit that Daredevil Season 2 is right around the top of our most anticipated shows. 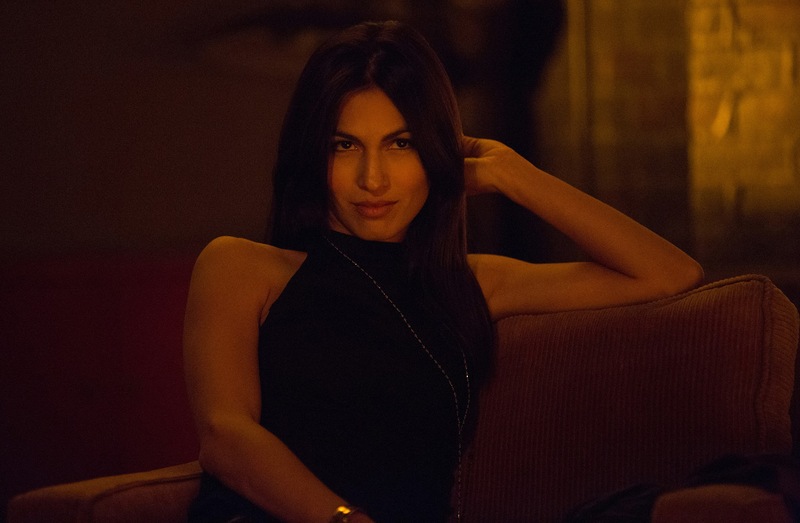 And that anticipation just got even stronger now that we have our first full look at Elodie Yung as the mercenary Elektra. Check out her more toned down appearance below. I really love this look, although it’s probably not the only costume type that Elektra is going to have in Season 2. She looks sultry and quite sure of herself, not to mention about three seconds away from leaping up and putting her foot through someone’s throat. That’s exactly the kind of appearance you want your assassin/quasi-hero to have, especially since “not-too-bulky blind lawyer” was already taken. 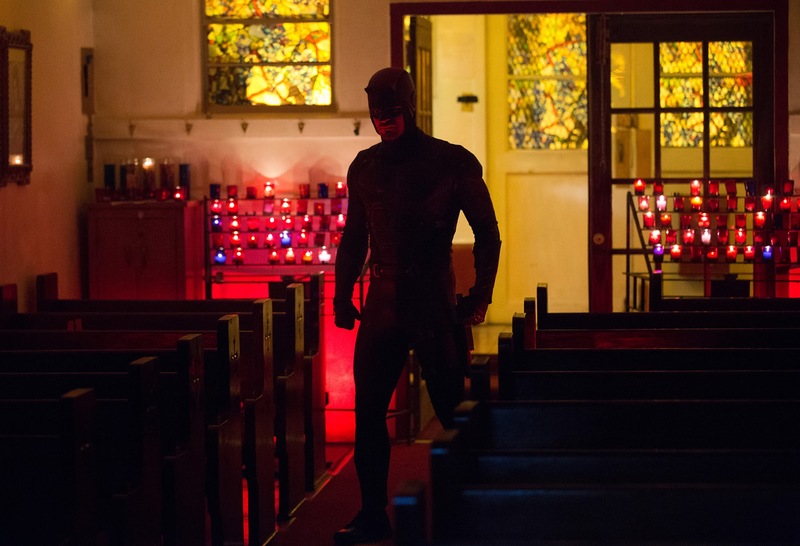 This obviously isn’t the extent of Elektra’s costume, and is probably what she wears in her non-asskicking time, but it’s still nice to see that showrunners Doug Petrie and Marco Ramirez decided to scale things back from the days in which Jennifer Garner was wielding her sai. Garner’s costume was basically just a way to show people her stomach and cleavage, although that wasn’t exactly a horrible gameplan, considering there wasn’t anything else to champion about her takes on the role in 2003 and 2005. There’s no way Netflix’s version of the character can possibly be as forgettable, cleavage or no cleavage. Not a lot is known about what audiences can expect from the French actress’ version of Elektra. We know that she’ll be a woman from Matt’s past – as alluded to during one Season 1 scene – and that they will have a tumultuous relationship that will be ripe with action sequences and fight scenes. I mean really, we don’t need to know much more, since that’s exactly what we want to see. (Regardless of whether or not Frank Miller agrees.) But there’s that bit of curiosity surrounding that other new character, the Punisher, and how he and Elektra will play off of one another. 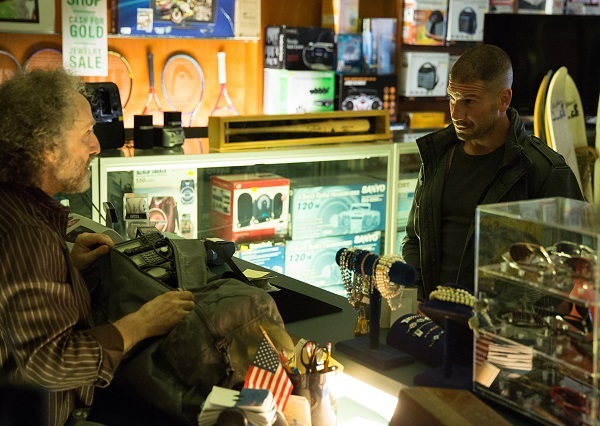 Speaking of Jon Bernthal’s debut as Frank Castle, Netflix also released a couple of new looks at that character, making us all the more excited to see how ruthless and damaged this latest live-action Punisher will be. Our guess? Pretty damned ruthless. 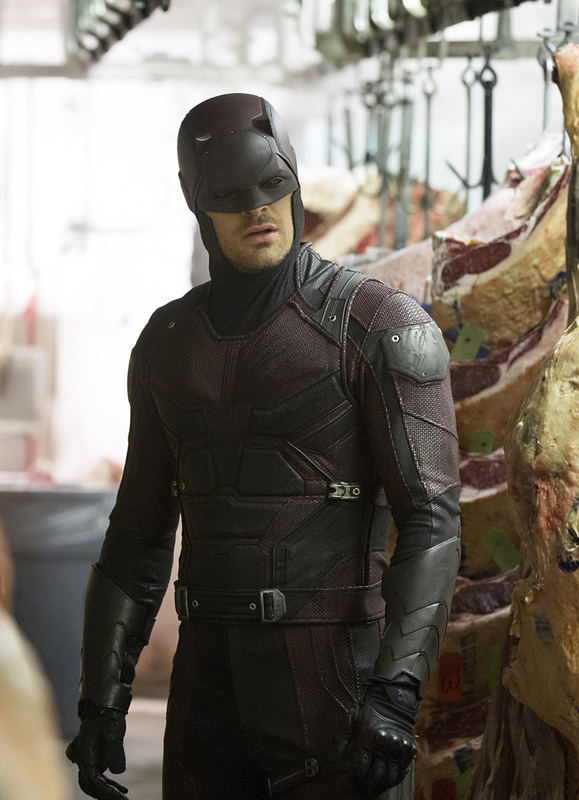 Find out what Elektra and Punisher have in store for Hell’s Kitchen when Daredevil Season 2 debuts on Netflix at some point in early 2016. Before that, though, check out some of the other first looks at the new season below.